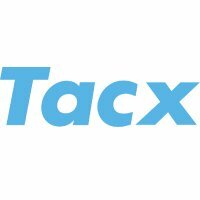 This Tacx sensor measures your speed and cadence and transmits this information wirelessly via ANT+ and Bluetooth Smart technology to the devices it is linked to, such as a smartphone, tablet, sports watch, GPS device, bike computer or Tacx trainer. Many sports devices used during training either use ANT+ or Bluetooth, but not both. The Speed & Cadence sensor uses both communication techniques, enabling you to keep track of your performance any way you want. Connect the sensor, for example, simultaneously to your smartphone via Bluetooth and to your sports watch via ANT+. Or check your speed and cadence quick and easily on your smartphone via popular sports applications like Endomondo and Strava. Please note: the Tacx speed & cadence sensor is not compatible with the Tacx applications for tablets and smartphones. To use the Speed & Cadence sensor you need Bluetooth 4 or higher. If you have a different version of Bluetooth and want to link the Speed & Cadence sensor to your smartphone or tablet, then you can use a receiver especially developed for this purpose. For an Apple device (iPhone) you can use the existing Wahoo ANT+ Dongle. For a device with micro USB input you can use the new Tacx ANT+ Dongle micro USB.